Native Applications not only have greatest UX, they also enable you to use all Servcies and Sensors provided by BlackBerry 10. Using Calendar you can get Reminders and your tracked times are automatically added to Calendar. Integrated Notebook (Evernote, Office365, …) allows adding Audio and Notes to your tracked times. 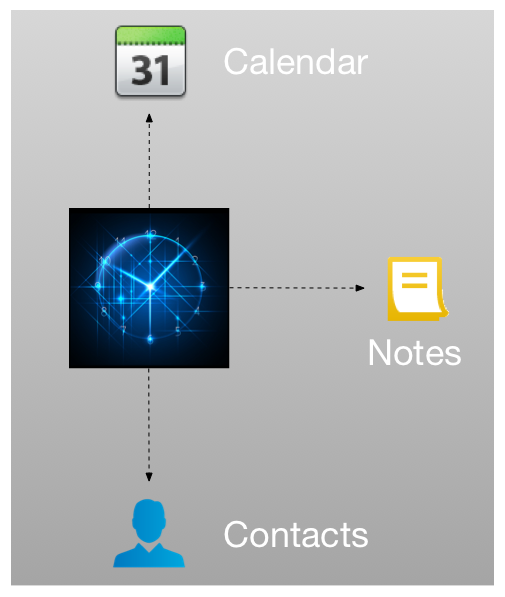 Integrating Contacts makes it easy to call the Customer, get the address, route and more directly from inside TimeTracker. TimeTracker also integrates BBM Channels. From Application menu users have direct access to TimeTracker BBM Channel. TimeTracker is Location aware and can add GPS Coordinates, so you always know where the work was done. Coordinates are added to your tracked times and so you can see Location on BlackBerry Map and (from Enterprise Edition) your IT Manager or Dispatcher can follow your tracked times on Google Maps. TimeTracker makes it easy to track times: 1-2-3 and you’re done. Using NFC this can be done even faster: Touch a NFC tag to start or stop. 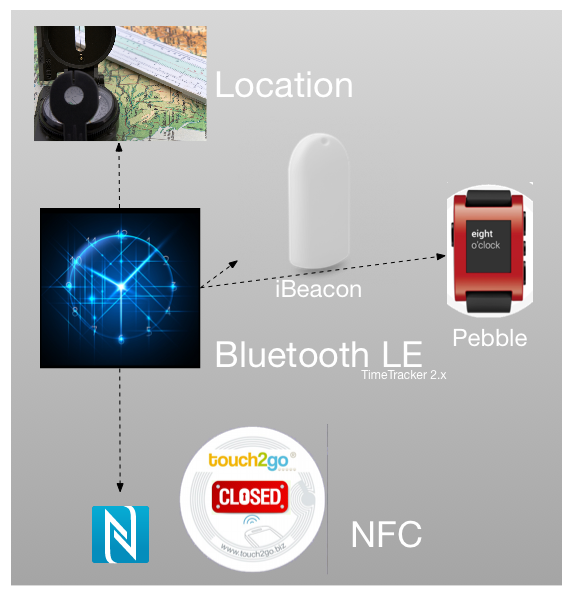 TimeTracker will allow much more in future versions: if you have to track In-Door-Locations, we’ll add iBeacon – Support to do this.